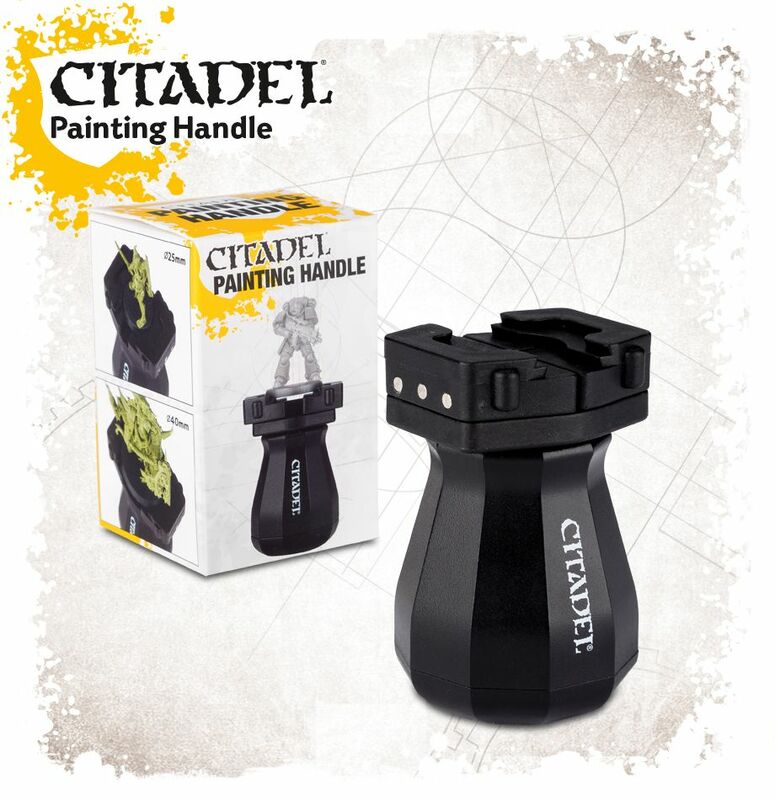 For Xmas my mother gave me three Citadel Painting Handles to go with the one I already had. When I had first seen them, I was a little dubious but after getting the first one I was hooked. Previously I had used corks which I either glued, pinned or blu-tacced the models to. However these handles have a very nice mechanism that tightly holds the model by the base. I used them over the weekend to paint three old skool metal Obliterators and they made the whole process far more straightforward. In the past I had problems with the stability of the model while it was painted with sometimes the model coming loose as I turned it to get the right painting angle. No such problems here. The models remain safely held all through the process. The other advantage is the heft of the handle. It is weighted so your models don't fall over either. They've been a great tool. Really recommend them.